Maximum obscurity from the depths of Germany's early 90s trad metal scene here. 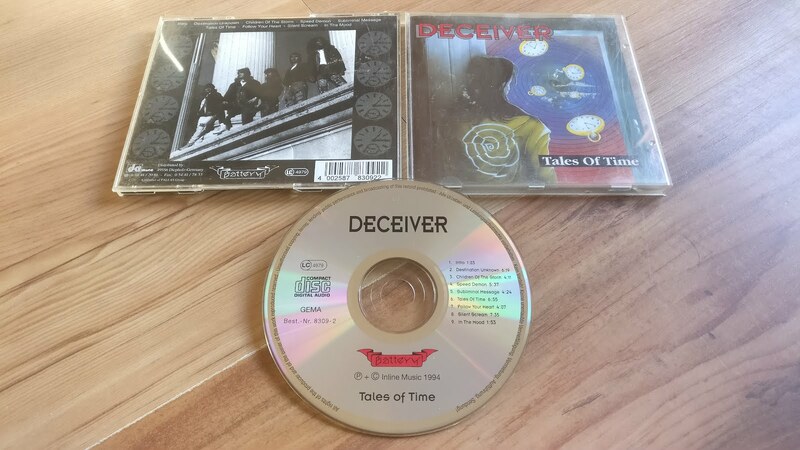 Deceiver formed in the mid-80s, releasing a single full length album 'Tales of Time'. Originally released on vinyl in 1991, this was the CD pressing which came a few years later in 1994. Nothing to lose your mind over, but and interesting piece of work non-the-less, hitting all the usual tropes you'd expect from classic/traditional heavy metal.